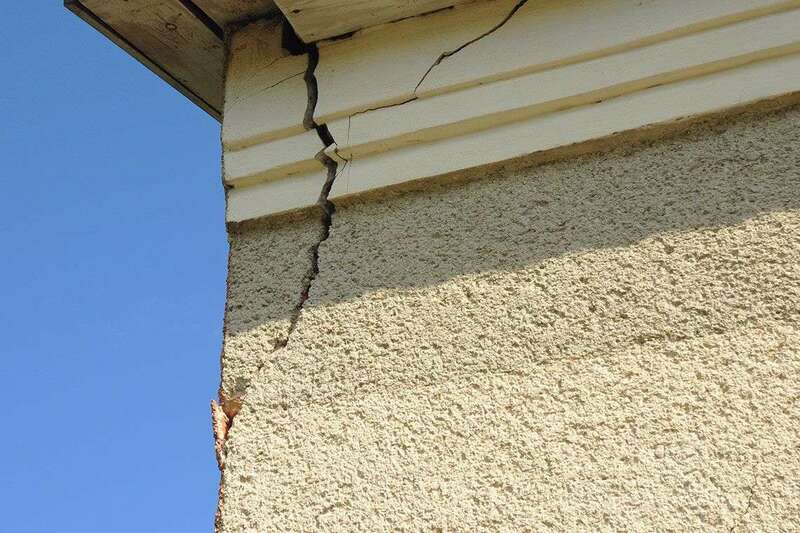 Our attorneys are looking into claims from homeowners who have stucco homes and are experiencing property damage as a result of faulty installation that could crack and lead to water damage. Don’t let these home builders get away with this potentially negligent work. If you’ve experienced problems with faulty installation of stucco in your home that led to property damage, we’d like to hear from you. Our class action lawyers may be able to recover the cost of repairs and replacement for you. Contact us today for a free, no-risk case evaluation. Stucco is a plaster-like substance. It is applied wet to the exposed exterior block and wood surfaces of your home. In antiquity, stucco was made from lime, sand, and water. However, nowadays, it is usually made from Portland Cement, sand, and water due to its ability to harden more rapidly. Once it dries, it is supposed to protect the exterior of your home from hazards such as fire, hurricanes, and moisture that can lead to property damage and health issues. When applied properly, it hardens and binds to your home’s exterior, creating a very dense outer shell that looks great and protects your home. However, when stucco is improperly installed, or your contractor or home builder allegedly cuts corners to save time and money, this dense outer shell can prematurely crack, allowing moisture to seep in and damage the structure underneath. Often, this damage can occur for years before you even become aware of the problem — if you become aware at all. By the time you realize that there is an issue, your home environment can become a health hazard, and underlying wooden structures can swell and rot. Just think of the issues that creates for you and your family: The cost to repair the damage could get into the several thousands of dollars, not to mention the hassle of trying to get the contractor to even admit that it was their fault and redo their work. As stucco dries, it shrinks and micro-cracks can occur, making the stucco relatively porous. Control joints are installed to mitigate excessive cracking, and lattices and corner beads are used to bind stucco around windows and corners. These joints and beads are open in the back and can allow water to seep behind the stucco. Home builders, aware of the micro-cracking, might use stucco mixtures with additives that are claimed to create a better barrier to moisture. Yet, a study by the American Institute of Architects and the National Institute of Building Sciences found this and other allegedly suspect construction practices to be ineffective at preventing damage and potential health issues. As a result of this allegedly faulty stucco application, excessive moisture absorption in the wood or block behind the stucco could cause property damage such as rotting wood and potential health hazards such as mold, bacteria, and insect infestation. Generally, the party at fault is the home builder that installed the stucco in an allegedly improper manner, thereby potentially causing extensive property damage to your home. Recently, some home builders have gotten into trouble with the courts for allegedly shoddy stucco installation practices. Toll Brothers, K.B. Homes, D.R. Horton and other large homebuilders have all been ordered by the court to pay for restitution and reparations amounting to hundreds of millions of dollars. Toll Brothers alone estimates their liabilities for water damage caused by construction mistakes at nearly $450 million, according to ABC 6. According to a report by Philadelphia’s Action News 6, the nation’s most recent construction boom in the early 2000s enticed many home builders to potentially cut corners in an effort to meet exploding housing demand. Not just in Philadelphia, but all over the country homes built in the 1990s and early 2000s are potentially in shoddy condition because of the rapid pace at which home builders sought to construct homes and therefore increase profits, according to a Wall Street Journal report. A contractor/home builder might have installed stucco in your home in an allegedly faulty manner, and when you asked them to fix their mistake and pay for the damage, they might have refused to do so. But you don’t need to be drowning in repair bills and trying to fight the home builder on your own — just because of construction defects that weren’t your fault. If your home suffered from costly water damage because of allegedly shoddy stucco construction work, contact us today for a free, no-risk case evaluation. Our team of class action attorneys has decades of experience and might be able to help you get compensation.